Longidragon, Clone. Ed McRae. 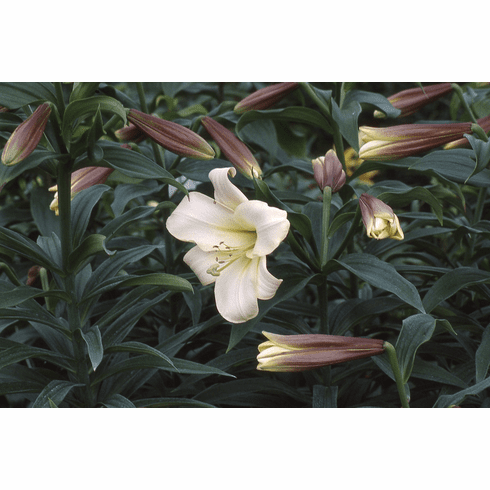 Introduced by B & D Lilies 1996 via Cebeco Lilies. First cross of L. longiflorium and 'Black Dragon'. Photo B & D Lilies.